From any page on the AMWA site, you can click “log in” on the top menu. Enter your username or email address and password, and then click Log in. 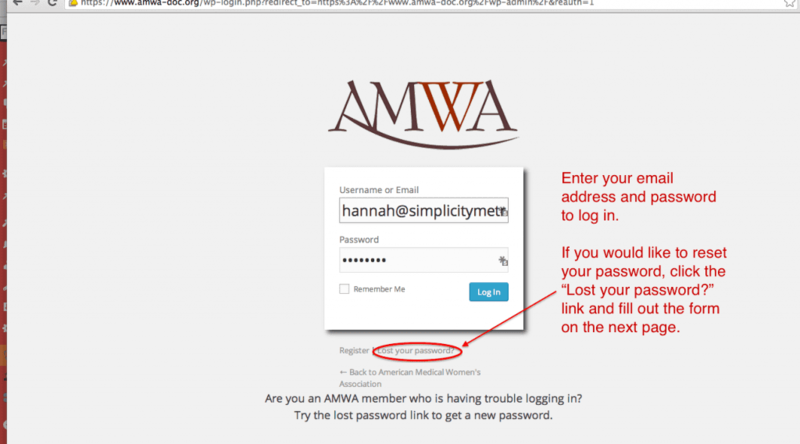 Enter your username or email address to be sent a link to reset your password. Check your email and follow the instructions there. 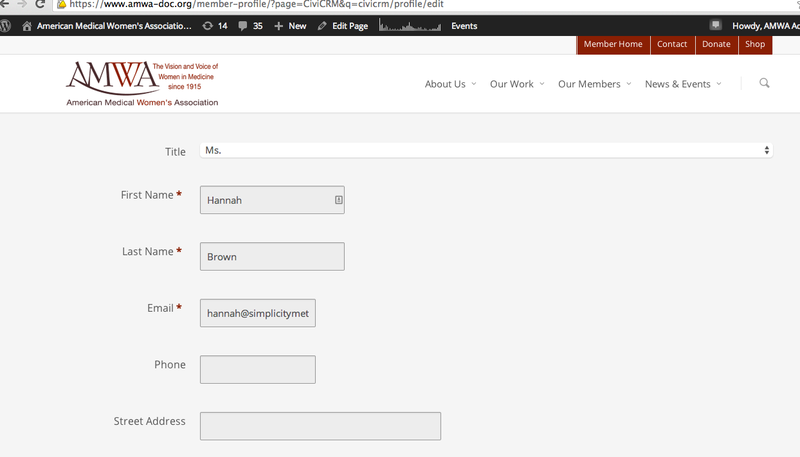 To update your contact information, log in, and then go to the “Member Home” link in the top menu. From here, you can “edit my contact information.” This link will take you to a form (below) where you can change your phone number and address. Once you’ve made your changes, scroll down and hit Save. 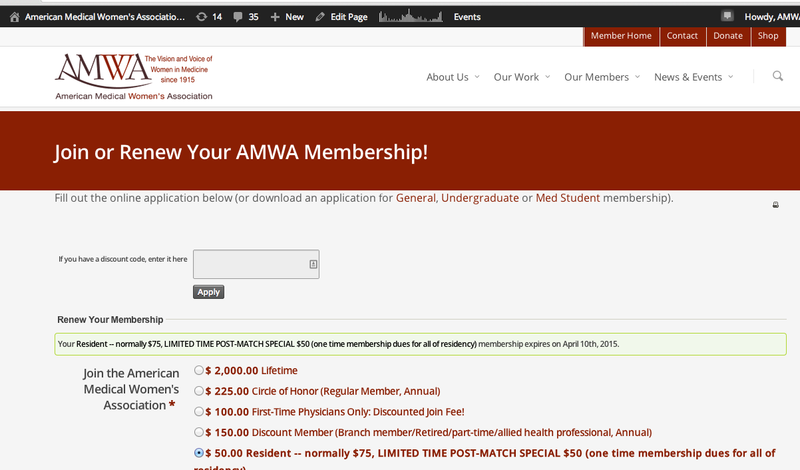 To Renew your membership, go to your “Member Home” page. Click “renew my membership” — you also have the option to fill out a paper form and send it in. Fill out the renew form with your personal and payment info. Once you finish, you should receive a confirmation email. 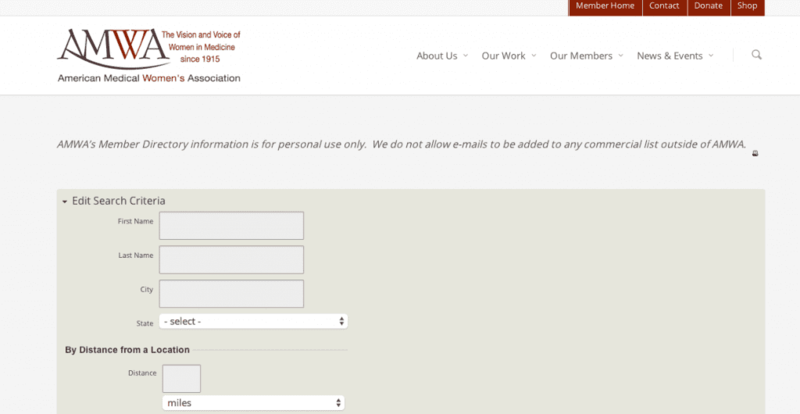 Yes, you can search for other members in the member directory, which is located on the Member Home page. You can search by name, address, and location, to find members near you.